The components for making the most attractive living room for you and your guests consist of furniture, proper spacing, a centrepiece, and most importantly, the right lighting. With the best lighting, everything shines. The best designer lamps could even bring the best out of a dinged up centrepiece. Lights are indeed the most crucial part of every interior that wants to impress. Never underestimate a well-placed lamp. The light it offers can make almost everything shine in the eyes of visitors and guests. These light sources, especially if placed in the living room, make an excellent impression on whoever steps inside. Therefore it’s best to make an effort in improving lights whenever possible. And of course, first impressions always last. It doesn’t take much on improving your living room. If you’re considering in improving the aesthetics of your living room, always allocate budget for spending on lighting, and rest assured you can find the best lamps online right here at LampTwist. 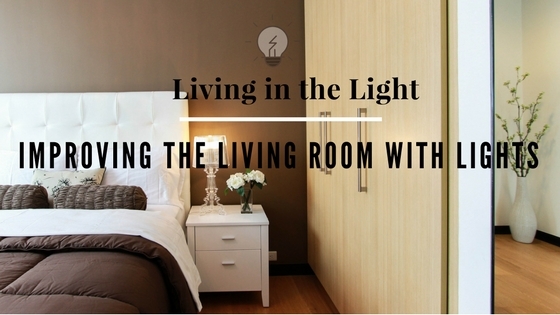 Here are some more tips on how you can improve your living room quarters with a small budget and a few tricks with lighting. When it’s about lights, all sizes matter. A large pendant-style light can serve as a centrepiece in the living room if you don’t already have one. Small lamps or specific lights also give the benefit of you and your guests doing activities inside your living room. Tables and other furniture get highlighted because of these lamps. Dimmer switches or dimmers can control light in how they bring out the view in a room. Dimmers are perfect for setting the mood or tone inside a room. Well placed dimmers in the living room are best because this area is where most guests interact with you and each other. Along with the tone of the music, a dimmer switch can make all the difference in making a party dull or exciting. Never settle for just one source of light when it comes to improving the aesthetics of your living room. Three sources of lights are excellent choices to get that beautiful view for you and your guests. These sources are general lighting which includes the chandeliers, pendant type lighting, etc. Specific-type lights are those which encompass desk lamps and other small lights put on top of furniture – you can find stunning lamps from renowned designer Tom Raffield here. The third source is decorative lights where dimmers and vanity lights fall. There are also three types of light bulbs you can use for making your living room attractive. To make the most out of your choices, you have to know what these three types are, namely: CFLs or Compact Fluorescent Lights, LEDs or Light Emitting Diodes, and finally, the ever so handy incandescent light bulb. When it’s about efficiency and longevity CFLs and LEDs are the best choices. However, not all CFL and LED light bulbs don’t work well with dimmers. Incandescent light bulbs, however, are sufficient for dimmers as they are the most compatible. However, prolonged dimming and usage of these bulbs, inevitably shorten their lives which make replacing these light sources more often compared to CFLs and LEDs. And Incandescent light bulbs got phased out in the market to replace it with more energy-efficient lighting alternatives. Of course when it comes to making the living room attractive, always consider spacing and cleanliness. These two things work well with light. Proper spacing will help lamps and other light sources to put more focus on centrepieces. Cleanliness and de-cluttering are constant, with no amount of light being able to help hide the dirt and grime in some parts of the living room such as the walls and floor. Believe it or not, a large pendant-type light source or a chandelier can double as an excellent centrepiece. Intricate shapes and contours of a chandelier can garner the attraction of your guests. What’s good about these lights is that they can still function as a “semi-centrepiece.” This fact means that even if you have a functioning centrepiece, the lights won’t steal the attention from your piece. The best-looking houses have all the furniture, fixtures, centrepieces, and more. However, most people fail to recognize that lighting is an essential feature when it comes to making homes and living spaces more attractive to guests. Finding the right lamps online is vital, but knowing which type of bulb to use, where to place them, and using dimmer switches make to it more appealing for visitors is just as important.